Donna Jakulski, founder of Bridal Extravaganza, has made so many contributions to the bridal industry. Not only did Jakulski host one of the largest bridal shows in Atlanta, she also brought top-notch vendors to display their recent, fabulous ideas and services for brides to view and invest in for their special day! As Lethal Rhythms newest employee, I had the pleasure of attending the Bridal Extravaganza Saturday, January 30th for the first time. Bridal Extravaganza was truly a unique experience for me and there were many attributes that made this particular show stand out from the rest. In addition to the excitement of attending my first bridal show, I also received the opportunity to mix and mingle with high caliber wedding vendors and view their most outstanding galleries. Amongst the fame and glamour of these vendors, the hottest fashion designers, including the Savvy Formal Wear, Jorge Perez, and Steven Moore featured their newest designs at one of the three fashion shows displayed. Lethal Rhythms DJ Joel Rabe spun the latest mixes throughout the show and brought the designers trends to life down the catwalk. A dress contest was hosted throughout the bridal show that allowed each bride to place their raffle ticket in one of 5 gown boxes and at the end of the fashion show one bride from each gown box had the opportunity to win their dream dress. Not only did these first-class vendors and designers cater to brides, but they allowed each bride-to-be to sit-in on one or all three of the most chic and trendy fashion shows you wouldn’t have wanted to miss! One of the best attributes to the show was the opportunity to listen to Carley Roney, editor of The Knot. Her words of wisdom and support to all the new brides about the latest trend and tidbits were inspirational. As I listened to Roney reach out to all the brides and vendors, I began to understand her passion and saw how much of an expert she is in the wedding industry. 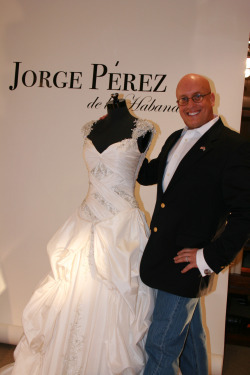 Brides had the opportunity to speak with her in person and meet the praised wedding guru! To watch over 800 brides swarm in to view all the newest trends, vendors, special guests, and hear Carley Roney speak was without a doubt the icing on the cake! 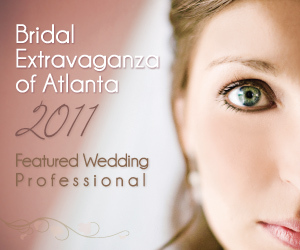 In addition to the variety of opportunities presented to brides at the Bridal Extravaganza, vendors were awarded as well! Congratulations to the Studio Wed team formed by Papered Wonders, Lemiga Event Management, The Savage Garden, Sweet Sensations, and I Do Linens for Best Gallery! The “Black Swan” theme envisioned by the ever-capable and creative Michelle Gainey was a hit! Lethal Rhythms would also like to congratulate Bold American Catering, who received Best of Show at Bridal Extravaganza as well. Lethal Rhythms knows how exciting this is for everyone and we are thrilled to see more innovative designs and trends soon! The Bridal Extravaganza is truly the event where brides were given the opportunity to fill their dream weddings with perfection and make their fairytale weddings come true! Lethal Rhythms Entertainment would like to thank everyone for making the Bridal Extravaganza spectacular and congratulations to everyone who was awarded. Lethal Rhythms enjoyed being a part of such a memorable event and I can truly say, as a first timer, that being a part of the Bridal Extravaganza was definitely a fun and entertaining experience! Nick & Elise Esasky, Opera Nightclub Wedding, Atlanta GA DJ Joel Rabe of Lethal Rhythms mixes it up for a special wedding celebration – not your cheesy wedding DJ, by any means. Event Coordination by Kra Riddell of Lethal Rhythms. December 2010. Atlanta DJ Joel Rabe of Lethal Rhythms at Atkins Park for St. Patrick’s Day – over 500 people fill the bar to dance and party.. Go Green! Video provided by Lethal Video, a division of Lethal Rhythms Entertainment. To remain updated on Lethal Rhythms current and upcoming events, check out our Twitter, Facebook, and Blog pages.